Network communication is being used in more locations and users are searching for ways to inexpensively extend them. Wireless technology is becoming more and more popular but the air-waves are also becoming saturated with traffic. On the other hand the only other option is to run network cables between locations. If you want to wire your home for Ethernet networking, you have several choices. 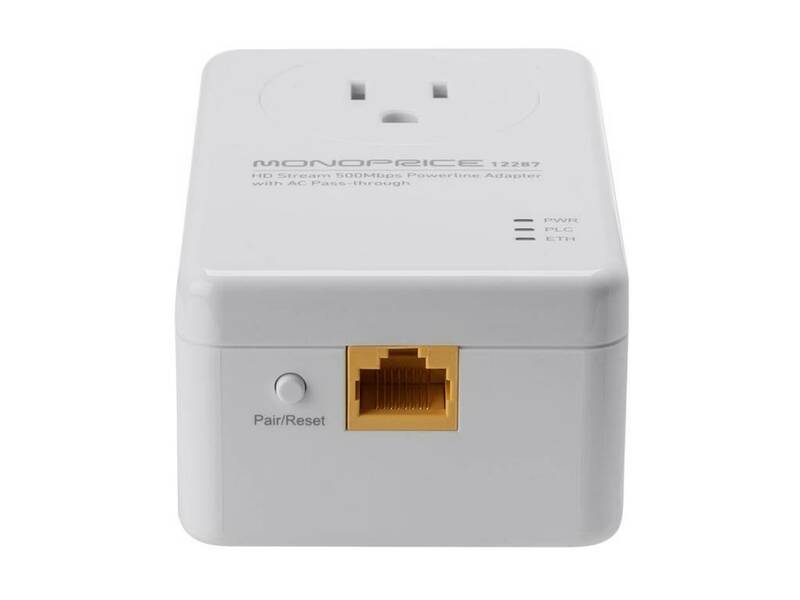 You can spend a lot of time and effort snaking cable through your walls and installing wall plates, you can pay someone else a lot of money to install cabling, you can run wires out in the open where they can be tripped over and produce an eyesore, or you can use this Ethernet over Power Powerline Converter Kit from Monoprice! The Powerline Converter system uses the existing electrical wiring in your home or apartment to transmit network traffic. As long as you have a power outlet in a room, you can have network connectivity! Each kit comes with a single powerline adapter. Each adapter features a standard US NEMA 1-15 non-polarized blade plug, which serves the dual function of providing power and carrying the network data. 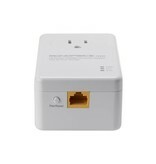 Each adapter also features a 10/100/1000Mbps auto-MDIX Gigabit Ethernet port and a Reset/Pairing button. Installation is as simple as plugging two or more adapters into wall outlets and pressing the pairing buttons on each to establish a connection between them. By default the system creates a public, unprotected network. However, by using the included setup utility you can easily create a private, protected network. Up to 9 total Powerline adapters can be used within a single network and multiple networks can operate on the same electric circuit, giving a level of flexibility and control not found in most ordinary Ethernet configurations. The adapters are able to transmit network traffic to distances up to 300 meters, however for best results it is recommended to ensure the total network length does not exceed 100 meters (328 feet). LEDs on the face of each converter indicate power and network connectivity status.